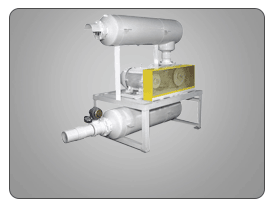 Meter feed and distribute wet or dry chips, turnings and swarf with the metal screw conveyor. 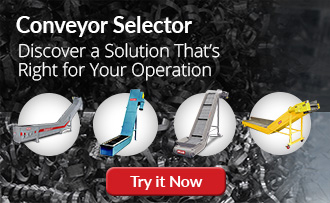 Cost effective scrap conveyor system suited for horizontal or inclined applications. 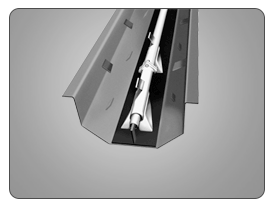 The PRAB metal screw conveyor is often used to feed other scrap metal equipment, such as a shredder or wringer, because of its ability to separate bundled material and meter feed. Easy to operate and virtually maintenance free. PRAB Screw Conveyors have the industry’s leading reputation as being dependable low-maintenance equipment with long service lives and no carry over issues. 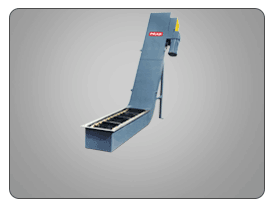 This scrap conveyor is engineered to handle a wide range of metalworking scrap for chip processing. It is most often used to feed other scrap metal equipment, such as a shredder or wringer, because of its ability to separate bundled material and meter feed equipment. This model scrap conveyor is available in a wide range of sizes with many options depending on the type and form of material, and storage or recycling needs. 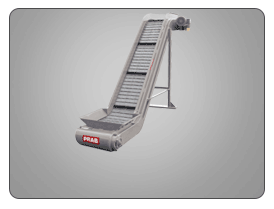 The PRAB metal screw conveyor is available in a wide range of sizes with many options depending on the type and form of material, storage and recycling needs. The PRAB metal screw conveyor is available in 6″ to 24″ diameters, designed to convey materials ranging in various weights and bulk densities. Configurations can be either horizontal or at an incline.